If you haven't ventured into Kindred Spirits Quilt Co. Store in St.Catharines, Ontario, it's worth the trip. I'm very lucky to be able to work with Michelle the owner (that's her cutting fabric)and teach at the store. She's encouraged me to design dolls for the store classes and you can see Garden Annie hanging around. 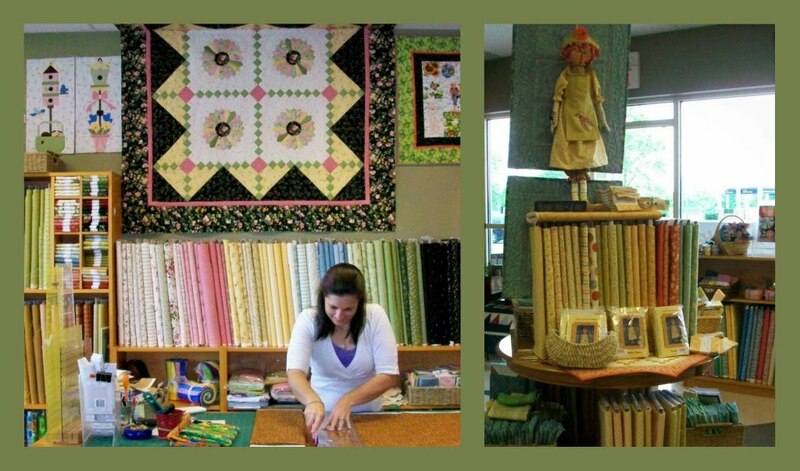 The store is fabulous with a great selection of fabric, patterns and books plus an array of classes to choose from. I am very fortunate to be a part of it. The unfortunate piece is that as a teacher, you are at the store quite frequently, and everytime I'm there I see another project I want to do, or fabric I can't live without. I have to use all my will power to resist the temptation and believe me it doesn't always work!